Functional and intelligent design with wide and comfortable spaces completed in January 2018. 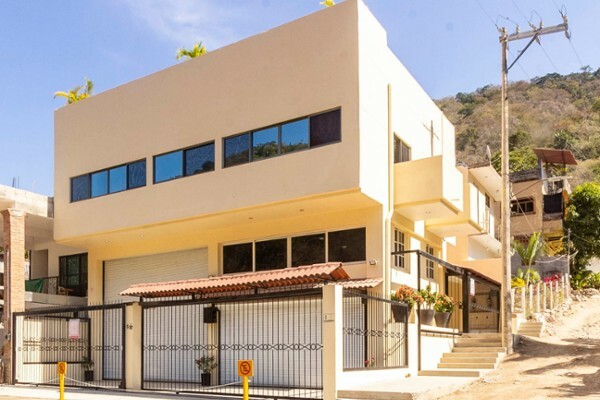 It is located right in front of the Boca de Tomatlán river (between Pelicanos and De las Escaleras Streets).It has 153 m2 of land with 373 m2 of construction (approx.. 4,015 Sq.ft), which does not include terrace and balconies of 160 m2 (approx. 1,722 Sq.ft), for a total living space of 533 m2 (approx. 5,737 Sq.ft). 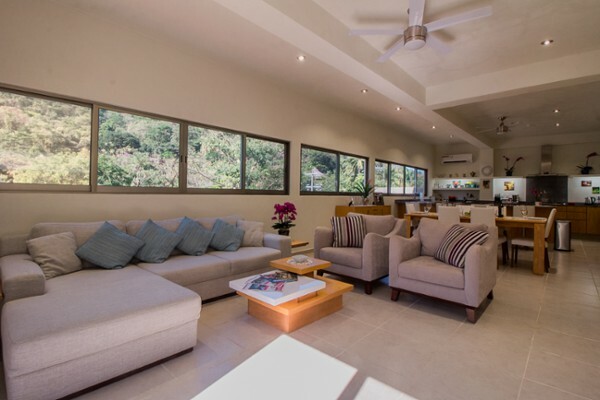 The property is located approximately 50 mts from the boat ramp for easy access to the Bay of Banderas. The Ground Floor is a garage suitable for a boat or two as well as a couple of cars. It also has a complete bathroom and shower and a storage area (bodega) that is enclosed and lockable. Up the stairs from the garage the gated entry services another parking area and the front door to the building. Up a small flight of stairs is currently a large office with a kitchenette that has been plumbed and could be easily converted into a studio apartment. The level above, houses a laundry room with washer, dryer and storage, as well as a full bath with shower. 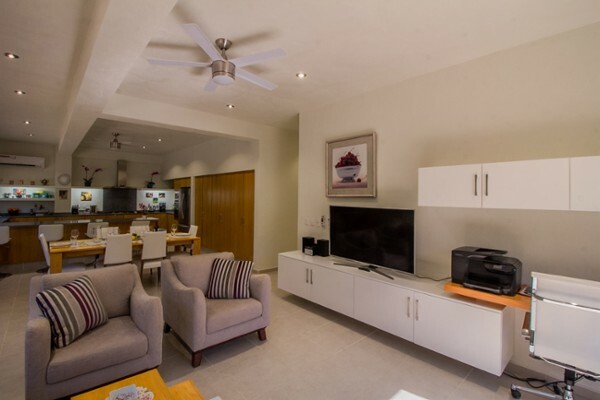 On the next level there is a two bedroom, two bath exquisite apartment with an open concept. 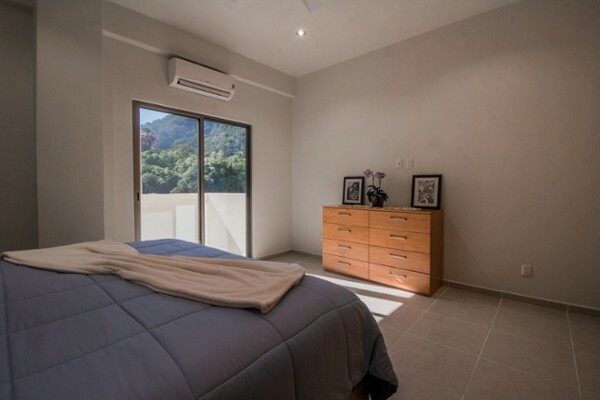 The master bedroom is ensuite with a private terrace. 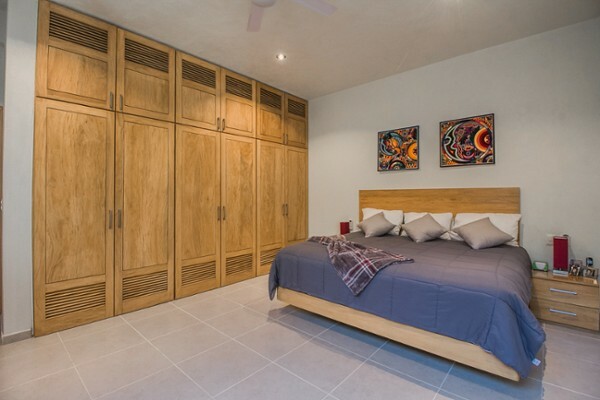 The entire apartment has built-in closets and cabinets all handmade of local primavera wood. The kitchen has granite countertops and is completely modern with dishwasher, garbage disposal, gas cooktop, gas oven, wine cooler and large refrigerator. The terrace has a covered patio area with outdoor kitchen, sink and barbeque. 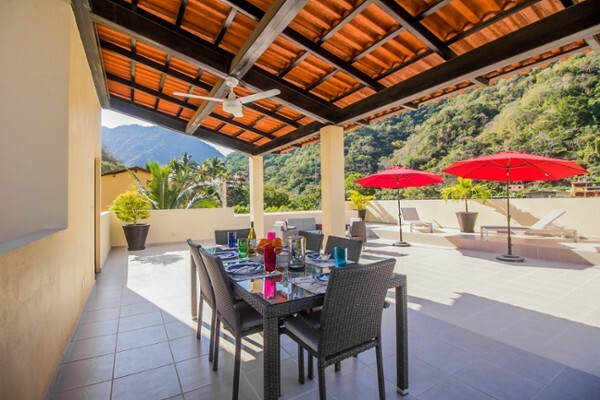 The terrace has an amazing view of the Bay of Boca, the mountains and the river. The property is sold furnished and has substantial investment potential thanks to forethought and location. The Ground Floor can become retail space, the current office is rentable with private access or could easily be converted into a vacation rental apartment. The terrace would make a perfect restaurant. South of Mismaloya on Carr. 200 Sur, the fishing town of Boca de Tomatlan is known to locals as simply "Boca," which means "mouth" in Spanish. It is the principal water taxi departure point for South Shore destinations such as Quimixto, Las Animas and Yelapa. Easily reached by local bus, car or water taxi from Vallarta. Trailhead for popular and picturesque hiking trail heading south to Las Animas beach. Most of the Boca de Tomatlan real estate opportunities here are the homes for sale that have been built between the highway and the shoreline, mostly cliffs with dramatic views of the bay. 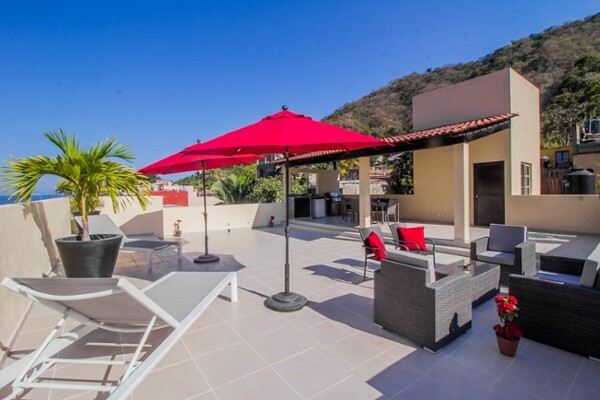 Below are listed some of the Boca de Tomatlan Real Estate properties currently listed for sale.